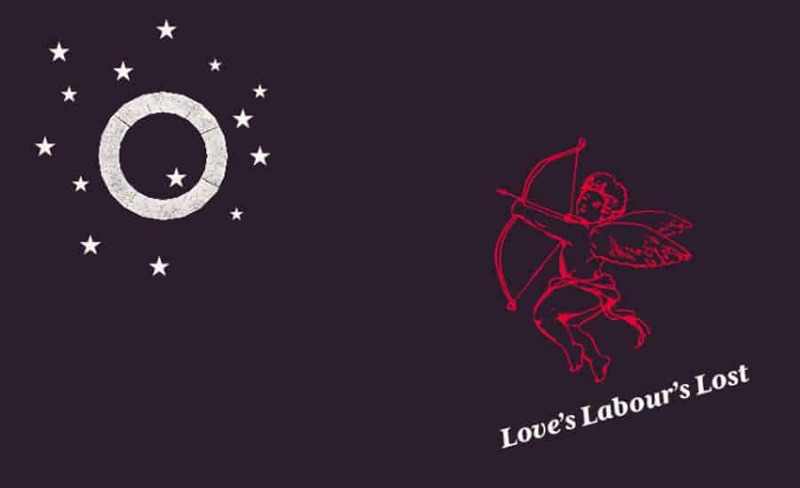 Shakespeare’s Globe has announced full casting for its new production of Love’s Labour’s Lost at its indoor theatre, the Sam Wanamaker Playhouse, this summer. The comedy, directed by Nick Bagnall and running from 23 August to 15 September, will feature Tom Kanji as Dumaine, Dharmesh Patel as Berowne and Paul Stocker as the King of Navarre – a group of young nobles who take an oath to give up the company of women for a year. Nobody has been announced for the role of Longaville – the fourth of the nobles in the original play – but Shakespeare’s Globe confirmed that the full cast had been announced, adding only that actors may play multiple roles. The noble women who lead them astray will be played by Leaphia Darko as Katharine, Jade Williams as Rosaline and Kirsty Woodward as the Princess of France. Again, nobody has been announced for the role of Maria, while Charlotte Mills has been cast as Boyet – a lord in Shakespeare’s original play. Jos Vantyler has been cast as Don Armado, a Spanish visitor to the Navarre court. No actors have been announced for other roles including Holofernes, Dull, Costard, Moth and Jaquenetta, with no news yet on Nick Bagnall’s plans for the characters. Dharmesh Patel returns to the Globe after starring in Barrie Rutter’s The Captive Queen in the Sam Wanamaker Playhouse earlier this year. Other recent theatre credits include Titus Andronicus, Antony and Cleopatra and Julius Caesar for the RSC, and The Two Gentlemen of Verona and The Tempest for The Globe. Kirsty Woodward appeared at The Globe in last year’s touring production of Tristan & Yseult and has also appeared in Globe productions of Pericles and The Winter’s Tale. Her recent television work includes Bad Move (ITV) and Quacks (BBC). Paul Stocker returns to the Globe after appearing as Palamon in Barrie Rutter’s The Two Noble Kinsmen earlier this summer. Paul’s other theatre credits include The Curious Incident of the Dog in the Night-Time in the West End, A Thousand Stars Explode in the Sky for National Theatre Studio, and A Midsummer Night’s Dream at Regent’s Park Open Air Theatre. Television work includes Doctors, EastEnders and The Rack Pack (BBC). Jade Williams has appeared in several Globe productions including Matthew Dunster’s Doctor Faustus, Raz Shaw’s God of Soho and Jessica Swale’s Bedlam. Jade’s other recent theatre work includes The Cherry Orchard and The Lower Depths at the Arcola and The Seagull at Chichester and the National Theatre. Tom Kanji has appeared in numerous Globe productions including Michael Longhurst’s The Winter’s Tale, Dominic Dromgoole’s Pericles and John Dove’s Doctor Scroggy’s War. Other recent theatre work includes The Country Wife in Chichester and The Box of Delights at Wilton’s Music Hall. Tom was also part of The Everyman Company 2017 in Liverpool. Leaphia Darko recently starred as Portia in Nicholas Hytner’s Julius Caesar at The Bridge Theatre. Other recent theatre credits include Cookies – The Cyberscene Project at Theatre Royal Haymarket and Mary Stuart at the Almeida. Charlotte Mills returns to the Globe stage after appearing in the Playing Shakespeare with Deutsche Bank schools production of Much Ado About Nothing earlier this year. Other recent theatre work includes The Country Wife in Chichester and Abigail’s Party at Theatre Royal Bath. Television includes Moorside (BBC). Jos Vantyleris is also returning to the Globe after appearing in Barrie Rutter’s The Two Noble Kinsmen earlier this summer. Jos’s other recent theatre work includes For Love or Money and The Merry Wives for Northern Broadsides. Television work includes The Secret Files (BBC) and Here and Now (CBS). The production will be designed by Katie Sykes, with music by Laura Moody and James Fortune and choreography by Wayne Parsons. Opening night will be on August 29.